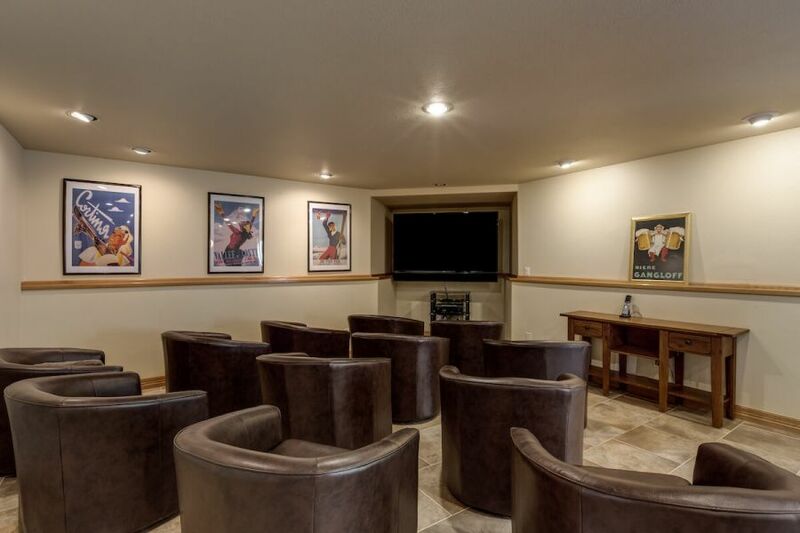 Edelweiss Chalet is a luxurious rental home located in beautiful Steamboat Springs, Colorado – “Ski Town USA”. The Chalet is located on the ski mountain itself! Access the top of Mt. Werner via the Thunderhead high-speed-quad lift, located just 60 yards from the front door. Or, swish to the ski-area base just two miles below through Steamboat’s world renowned Champagne Powder. 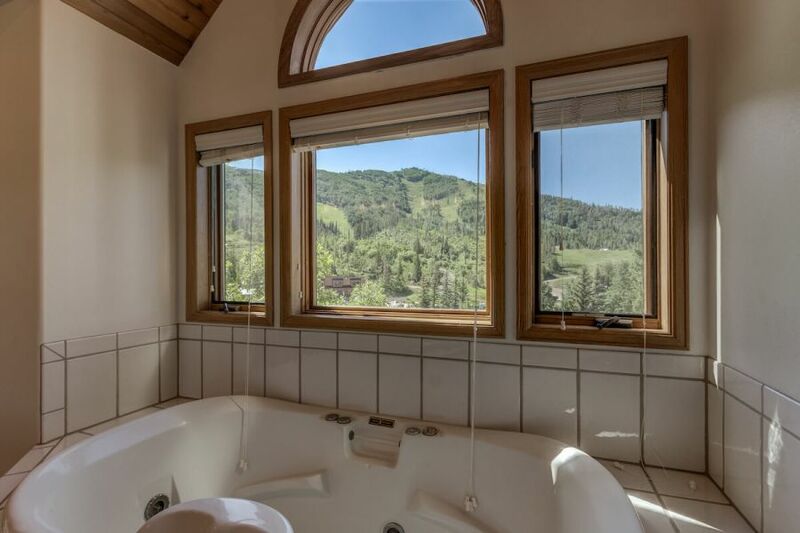 Ski in/ski out in winter or golf with the cowboys and elk in summer in Steamboat’s Number One Luxury Rental with panoramic views. Our 8000-square-foot, Edelweiss chalet is exclusively located just 60 yards above the Thunderhead high-speed quad lift providing stunning 360 degree alpine views through 88 separate windows. 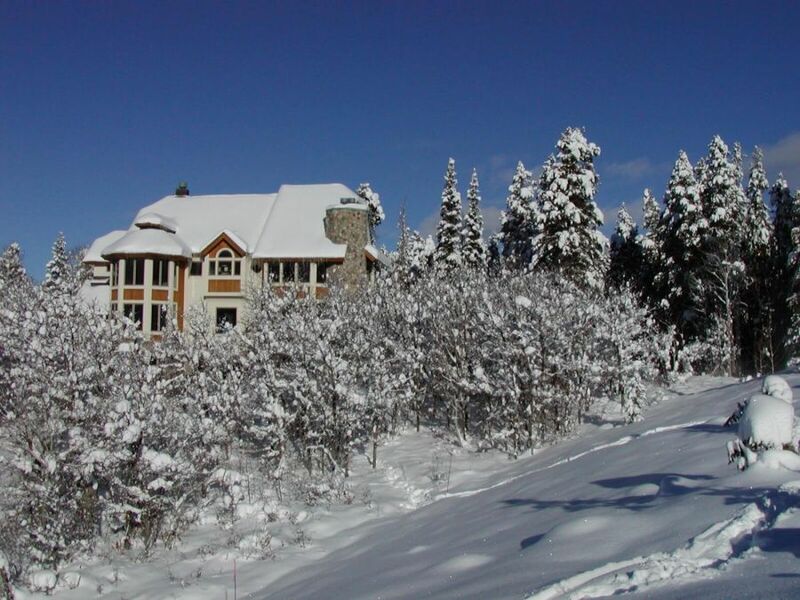 Edelweiss Chalet exquisitely accommodates large groups. Our home features seven master suites each including its own private full bathroom and each with luxurious feather bedding and cozy European-style comforters. These bedrooms are equipped with cable TV. Bedding configurations include 4 king size beds, two full-size beds, eight twins beds. The Library room on the main level may be converted to an extra bedroom with portable privacy wall, queen size sofa bed and adjacent bathroom. Additional bedding configurations can be accomplished. We have ten bathrooms, including the seven master baths. This rental home is totally top notch in every way. The large rooms and public area of the house gave everyone plenty of space and privacy. 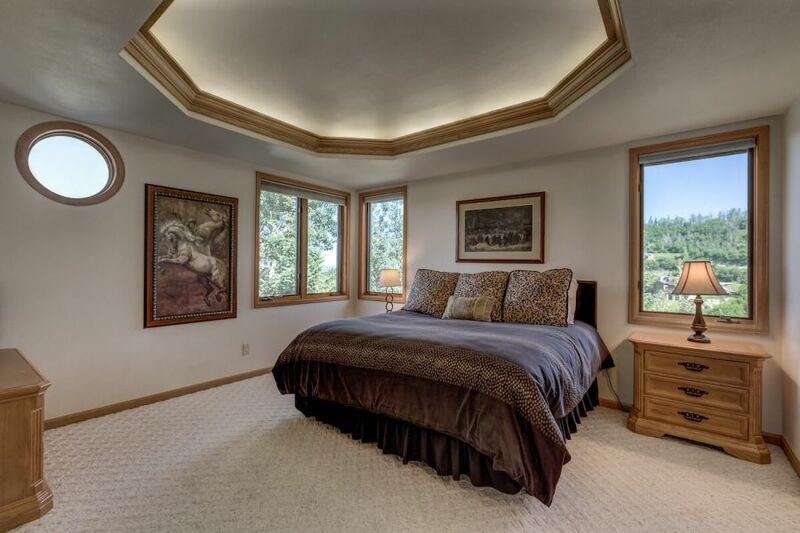 The bedrooms were spacious, clean, comfortable, and private. We could not believe how every comfort was provided. This is the second time we have vacationed at the Edelweis Chalet in Steamboat Springs and the accommodations have been excellent both times. Everything is at your finger tips to make your vacation enjoyable inside and outside. We have never had a problem and everything has always been clean and ready for our arrival. The Chalet is a wonderful place! The week my family of 9 adults and 7 children spent at Edleweiss Chalet was WAY beyond expectations. This rental home is totally top notch in every way. The large rooms and public area of the house gave everyone plenty of space and privacy. Where to start, this beautiful vacation retreat has everything one can ask for. Not only is it at the absolute top of the road half way up the ski mountain, but it is much higher then the base Gondola, but the views are out of this world. Eleven of us had a really wonderful vacation in the Edelweiss Chalet. What a beautiful home in a great location. Hopefully, we can come back again another year and hopefully it will be a record snowfall year. We traveled to edelweiss chalet from North Carolina with 3 families- 6 adults and 7 children. The house was perfect with plenty of room for all of us to spread out. The kitchen was the most well appointed I have seen for a rental home and we had everything we needed and more! Our group of friends gathered here in August and this home was so welcoming and comfortable we felt right at home and enjoyed every minute. The rooms are spacious and comfortable. The kitchen was a delight to prepare meals in the we dined at the huge beautiful table evey night after appetizers and wine on the deck! We stayed here at Edelweiss Chalet in June and it was truly a home away from home! 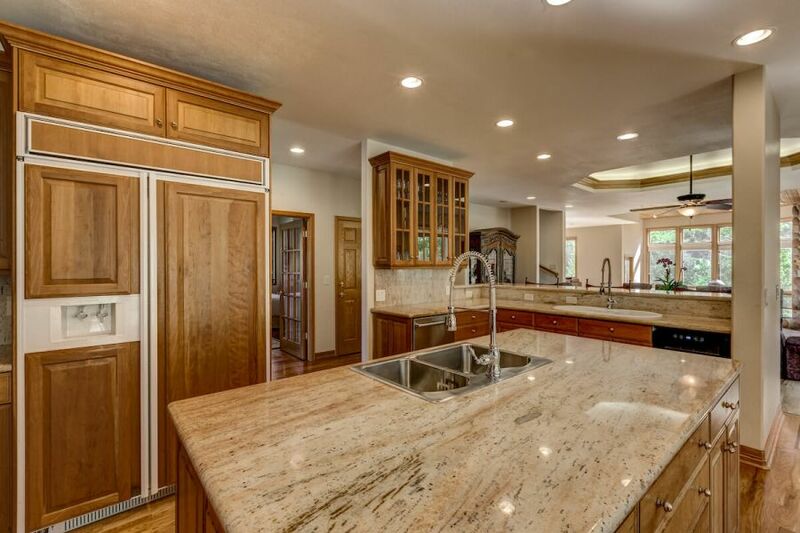 The house is beautifully decorated and the gourmet kitchen was to die for. We had amazing meals here with our family. It was the best sleep we had all had in a long time. We had never been to Steamboat before, but arrived to the chalet without any particular expectations. We were amazed at the convenience (you can ski to/from one of the key lifts, which is about 5 yards away) and position of the house, which is at the top of a private drive with only a handful of other luxury homes sharing the same road. 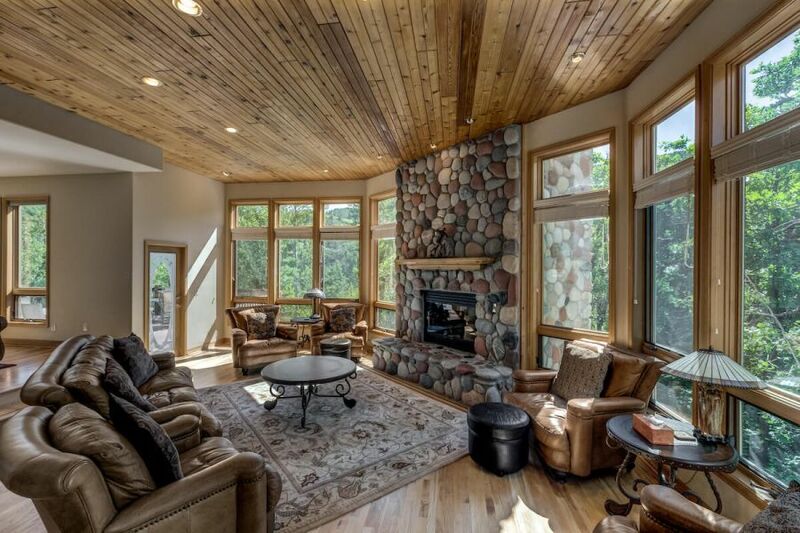 This home is inviting, perfectly located, and has every amenity one could hope for. We just can't wait to get back! 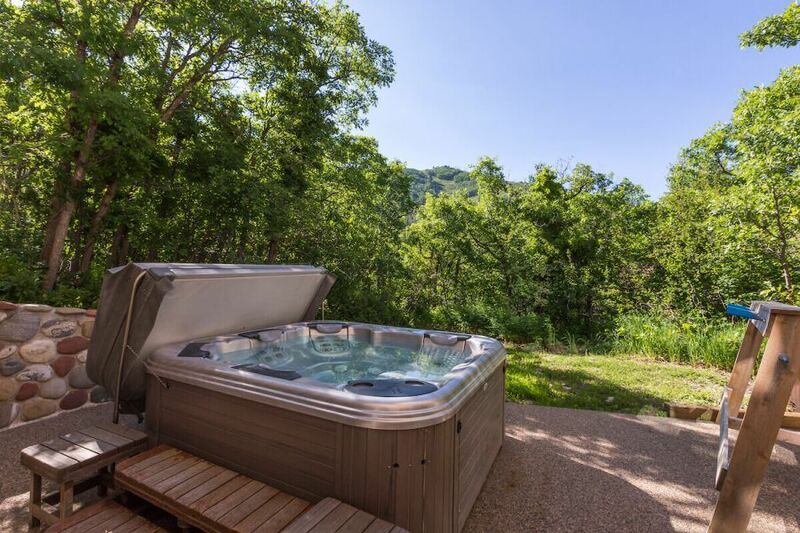 The owners have thought of everything from extra towels for the hot tub to any utensil you could possibly need in the gourmet kitchen. 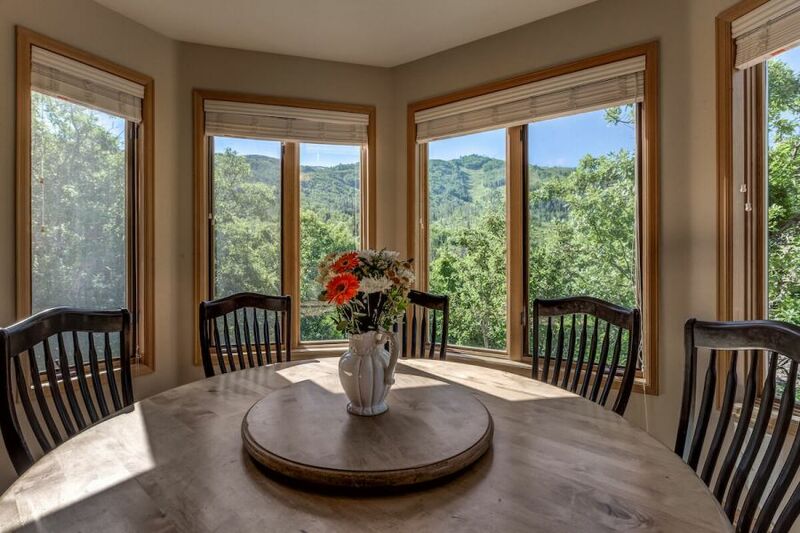 The house has large windows throughout the house making it easy to take in the beautiful mountain views. This was a wonderful experience! It was by far the most wonderful place we have stayed. We have traveled extensively and nothing compares to this exclusive vacation home. You will not be disappointed in any way. We were thrilled to be back at your beautiful chalet. Having previously been there skiing, we were delighted to return for a hiking and biking trip this past summer. We especially loved the gourmet kitchen. All the views and the mountain top setting are truly spectacular!